Burbur is an herbal extract from a plant. This herb comes from the leaves of a South American plant typically found in Peru. The scientific name for it is Desmodium Molliculum. This particular herb has been called by various names over the years including beggar lice, hard man, hard stick, strong back, and manayupa. It also has many other names in different languages. Burbur grows to be about 3 feet tall containing foliage and purple flowers. It also produces fruit. The leaves of this plant are used to make the burbur herb supplement. The burbur herb is primarily used for detoxification purposes. It has been known to be quite successful at aiding the detoxification of the kidneys, liver and lymphatic system. There are many other uses for this herb which includes the treatment of inflammation, viruses, gastritis, malaria, parasites, kidney stones and allergies. In the United States, burbur is also sold in an energy drink that you can get over the counter on the front page. The burbur herb supports the proper, normal flow of lymph throughout your body and it eliminates toxins caused by die-off. A die-off of bacteria or fungi in the body produces metabolic waste that is hard for the body to rid itself of and can overwhelm your liver. This herb is quite popular with those who have fungi issues or issues with tick-borne pathogens (Lyme disease) to aid them in detoxifying and help with their her symptoms. The Herxheimer reaction or ‘herxing’ is the reaction of detoxification in the body due to die-off. It happens when the bacteria from Lyme disease begin to die-off. As the body begins to detox it can cause flu-like symptoms such as headaches, body aches, sweating, chills, vomiting, and nausea. By taking this herb when you start herxing, it can keep lymph flowing naturally, aiding the body in eliminating the toxins caused by die-off. Also, if you take burbur daily, studies have shown that it can help prevent the Herxheimer reaction. There are also beliefs that due to the chemicals, bacteria and other toxins found in the environment and our bodies, taking burbur daily can prevent or ward off serious health issues that can arise. Take the bottle of the burbur detox extract and place approximately 8 to 10 drops of it into a glass and add 4 oz of water. Stir the entire mixture well and let it rest for 1 full minute. For daily use, do this three times a day after meals. (If using for a specific reason the frequency may be different). Those with sensitive or weak bodies should seek professional advice before starting any type of detoxification process. Certain conditions or medications could cause complications to your body. It is always a good idea to talk to a professional before trying an alternative medicine regime. Often times the onset of adrenal fatigue is slow. However, if you do not relieve the symptoms of this disorder, it can be very debilitating and harmful to your body. Detoxing can be a very good resource for your body. As stated earlier, the burbur herb is useful for detoxification purposes, as well as other medicinal regimes. In order to understand detoxification and AFS, we have to understand the function of the adrenal glands. The adrenal glands are the body’s natural stress reliever. These glands produce cortisol which helps reduce stress in the body. However, if we are under more stress than our bodies can handle, the adrenals cannot keep up with the production of cortisol and thus adrenal occurs. Cortisol has an effect on liver function whether it is at a low or high level. Studies have shown that high levels of cortisol from the adrenal glands being over-stimulated can result in fatty liver disease. 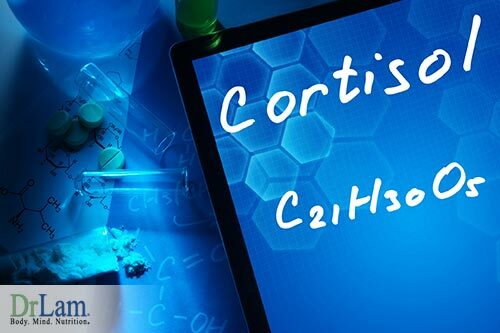 Lower levels of cortisol, typically from AFS can slow down the liver allowing toxins to build. 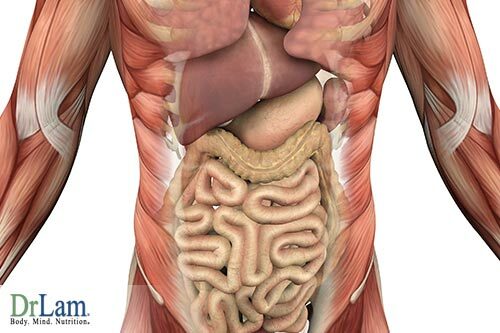 This is why detoxification can help your liver and remove toxins. When your liver is not functioning properly, especially those with adrenal fatigue syndrome, the liver does not properly regulate energy sources and often times this leads to physical fatigue. If you suffer from AFS, detoxification can help improve your liver function. Also, if you suffer from Lyme disease and AFS, burbur detox can be a great help to you. Keep in mind though that overusing or not using detoxification methods properly can cause stress on your liver and could increase adrenal fatigue syndrome symptoms. If you are unsure of how to properly detox with burbur or any other herbal remedies, be sure to talk to a specialist who understands adrenal fatigue because hurting your liver can cause other major issues. It’s also important to know that if you suffer from AFS, your body may not detox as well or the same as someone who does not have AFS. Typically, when detoxing you should be drinking plenty of water daily. It’s recommended that if adrenal fatigue is a concern, to drink water with a little bit of salt in it to keep up your body’s balance of electrolytes.